In the practice of managing palm oil plantations in Indonesia, the management of the plantations often raises problems. This is based on several cases that arise, for instance, in Buol District, Central Sulawesi. WALHI Central Sulawesi has found the practices of palm oil planting processes that allegedly violated laws and regulations. One company, named PT. Hardaya Inti Plantation is suspected to have planted in forest area whose status has not been released. Presidential Instruction No. 8 of 2018 concerning on the Delay and Evaluation of Permits and Elevated Productivity of Oil Palm Plantations (Inpres Moratorium) is a strategic first step to resolving palm oil plantation permit disputes, including the overlapping with community lands and forest areas. The Inpres moratorium is also one of the policy instruments in order to delay the permits of palm oil plantations that are problematic, both legally, between companies and surrounding communities in palm oil plantations, as well as management issues of environmental carrying capacity. This is the basis spirit of President Joko Widodo aspiration that is revealed in his Nawacita programs to improve the governance of palm oil plantations in Indonesia, especially in Buol District. On November 2018, Minister of Environment and Forestry issued a Decree (SK) Number SK.517/MENLHK/SETJEN/Pla.2/11/2018 concerning on the Release and Determination of the boundary of production forest area that is conversed to palm oil plantations on behalf of PT. Hardaya Inti Plantation, in Buol District, Central Sulawesi, covering 9,964 Ha. Whereas some parts of the release area are located in protected forest and area that will be used for Tanah Untuk Rakyat(TAURAT) program in Buol District. 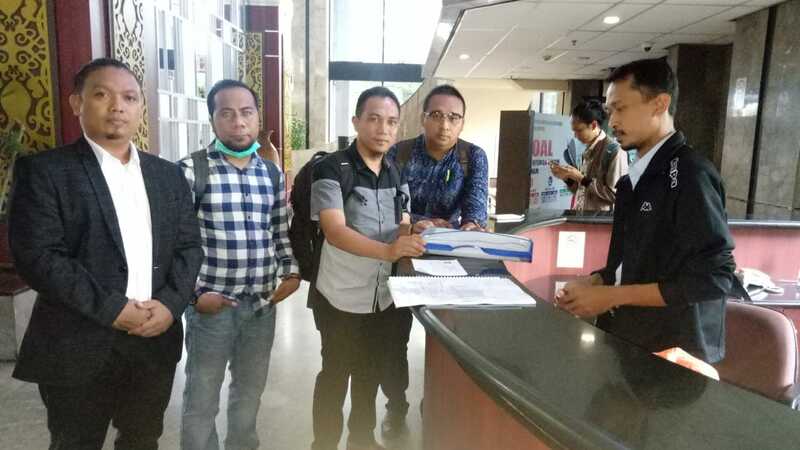 In addition, the process of issuing the Decree of the Minister of Environment and Forestry also has allegedly caused conflict of authority between Bupati Buol and Minister of Environment and Forestry. The issuance of the Decree No. 517/MENLHK/SETJEN/PLA.2/11/2018 of Minister of Environment and Forestry is legally flawed because the application submitted by PT. Hardaya Inti Plantation has not yet obtained a location permit from the Bupati Buol as required in article 9 paragraph (1) of the Ministerial Regulation of Environment and Forestry No. P.51/MENLHK/SETJEN/KUM.1/6/2016, as administrative requirements that must be fulfilled. This means that Decree number SK 517/MENLHK/SETJEN/PLA.2/11/2018 is formally flawed and the minister has ignored / overstepped the authority of Bupati Buol as authorized official to issue location permits. In our concrete efforts, the government of Buol Regency and Wahana Lingkungan Hidup Indonesia (WALHI) resolve the dispute settlements over laws and regulations through non-litigation mechanism, in accordance with the regulation of the Ministry of Law and Human Rights No. 32 of 2017 concerning on Procedures of Disputes Settlement. This is done because the Decree released by the Minister of Environment and Forestry is considered to violate the norms and provisions of the legislation.